The Not-So Angelic Doctor: "A" is For "Asinine"
At this season of the Winter Solstice, we celebrate the birth of the Unconquered Sun — the TRUE reason for the season. 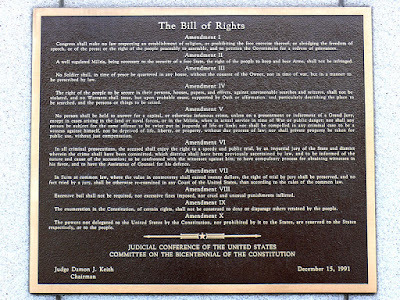 As Americans, let us also honor the birth of our Bill of Rights, which reminds us there can be no freedom OF religion, without having freedom FROM religion in government. ...[this sign] has been erected... to encourage the non-religious to come out of the closet, eradicate the negative stereotypes of the non-believers, promote rational thinking over superstition, and ensure that our government remains completely neutral on the subject of religion vs. non-religion. Could you hold yourself back from pounding your head on your desk as you read that? I know it was hard for me. Here's five reasons why these statements (and the erecting of a giant "A" for "asinine"... I mean "atheism") are illogical, ill-informed and ill-placed. 1. There is no such thing as a "separation between Church and State". Believing with you that religion is a matter which lies solely between man & his god, that he owes account to none other for his faith or his worship, that the legitimate powers of government reach actions only and not opinions, I contemplate with sovereign reverence that act of the whole American people which declared that their legislature should "make no law respecting an establishment of religion, or prohibiting the free exercise thereof;" thus building a wall of eternal separation between Church & State. Nowhere here is Jefferson implying that religion and the state cannot meet in the public square. Instead, what he is doing is addressing the fear of these Baptists, who at the time had come under the impression that the government was about to recognize the Congregationalists as the state religion. Remember, Protestants and Catholics alike came to America to escape the state religion of Anglicanism in England. THIS is what was meant between the separation of church and state; the government would not favor one religion over another by making it the "official" national religion. What we see here is a gross misunderstanding of the phrase that President Jefferson wrote to a Baptist church. So the claim that we must "have freedom FROM religion in government" has no basis in American legislation, and is certainly not in the spirit of the Bill of Rights. For a much more thorough examination of the true meaning of the separation of church and state, I recommend the following two articles which refute the "Constitutional principle" argument. 2. The feast of the birth of the "Unconquered Son" wasn't celebrated until AFTER the feast of Christmas was established. Another pagan Roman feast people like to tie into Christmas was the feast of Sol Invictus. This was to celebrate the birth of the Roman sun god, Sol. Only thing is, this particular feast didn't begin being celebrated until the year 278 when Emperor Aurelian started promoting the cult of Sol. Furthermore, the feast didn't even start being celebrated on December 25th until sometime around the year 360 during Emperor Julian the Apostate's reign. This is obviously well after Emperor Constantine had converted to Christianity, and we can see this in Julian moving the day of this feast to December 25th to try and "compete" against Christmas, which was already well established by this time. The whole reason that this theory (actually, myth) even came into being was due to Protestant Paul Ernst Jablonski, who wanted to show that Catholics had paganized the "pure Christianity" of the early Church by noting how the Julian calendar had the Winter Solstice falling on December 25th. Jablonski had no scholarly backing, just a pre-conceived, false notion to back up his own anti-Catholic feelings. A misguided Benedictine monk named Dom Jean Hardouin actually went along with Jablonski's crackpot theory, and instead of challenging is went along with it. We now suffer the consequences of the decision these two men made to perpetuate a theory with no credible backing; and much as the exaggerations of the Spanish inquisition have become popularized, so has the idea of Christmas being a "warmed-over" pagan holiday. But of course, with a little research, it's obvious that the "TRUE reason for the season" is not the birth of the sun god, but the Sun of Righteousness. 3. According to the FFRF, instead of worshiping the True God, we should worship a piece of paper. If you looked at the picture linked at the top of the page, you can see the ridiculous scene of the Founding Fathers and Lady Liberty, kneeling as if worshiping, the Bill of Rights in a cradle. So often we here from militant atheists such as these how "illogical" it is to worship an all-knowing and all-loving God... however, how ironic that now we see a piece of paper being worshiped as if its a deity. In fact, it's more ridiculous than anything else I can imagine. If we go by this picture, the FFRF is advocating for the worship of an inanimate object. 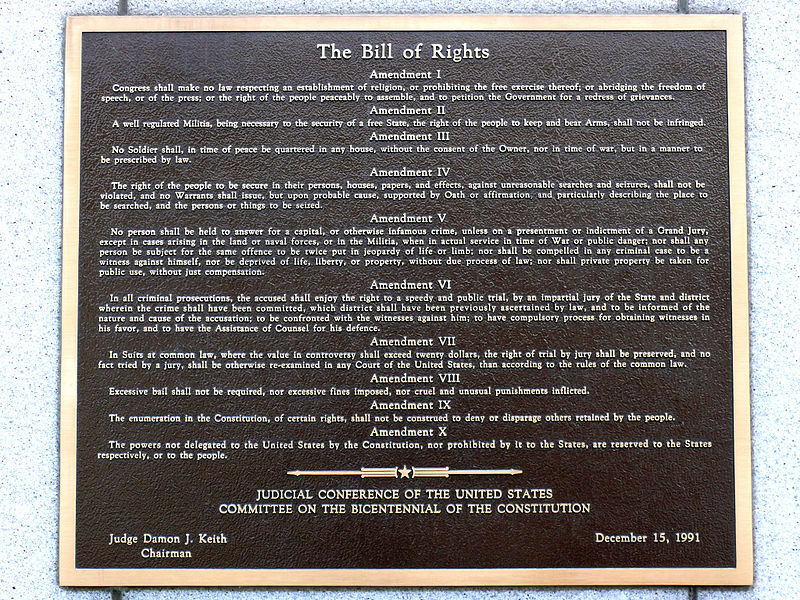 "Let us honor the birth of our Bill of Rights," they say. In the same way that Jews and Christians honor God? 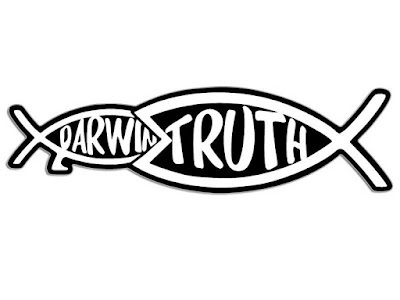 Because that's what's being done here; the FFRF has made man, or at least the writings of man, into an idol. 4. The false dilemma of "rational thinking over superstition" rears its ugly head again. The FFRF claims that their sign "promote[s] rational thinking over superstition. In other words, if someone has a religious belief, said people are not only guilty of a superstition (which is a caricature of actual religious belief), but are guilty of not being capable of having a rational thought. Likewise, those who are "enlightened" enough to have no need to believe in a God, be it in the Judeo-Christian understanding, or even in a deist understanding, are rational thinkers and therefore must be incapable of superstition (like worshiping a piece of paper, right?). Of course, this is a prime example of the "black-or-white" logical fallacy, also known as a false dilemma. In short, "presented [are] two alternative states as the only possibilities, when in fact more possibilities exist..." For one thing, I am not superstitious, yet I am religious, and I am also capable of rational thought. Also, there are many atheists who believe in superstitions, such as wearing "lucky shirts", tapping home plate a certain number of times with the bat, or not adding a thirteenth floor to a high rise building. Militant atheists have a knack for pigeonholing people into black and white categories, leaving no room for engaging with someone outside their paradigm; or, if they do engage, such a person is dismissed almost immediately out of hand. 5. It's also obvious only one religion is being mocked in the FFRF's messages: Christianity. Now while Hanukkah seems to get a free pass, it's also the only other religious holiday being celebrated in December. So obviously, the point of the whole ad, the giant "A", and everything else that comes with it is to mock Christians during one of the holiest days of their year. That image of the Founding Fathers gathered around the Bill of Rights is a mockery of the Nativity scene, where Christ was born in a manger. 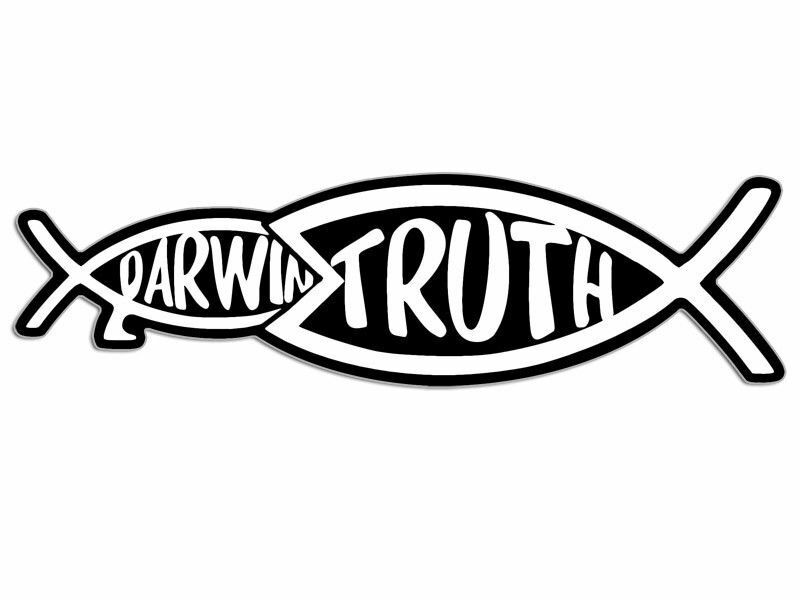 It's kind of the same principle when you see the fish symbol that Christians have used for millennia as an atheist bumper sticker; "Darwin" is written inside the fish, and the fish has grown legs. If such atheists are so concerned about being free from religion, why must they re-appropriate it? The mocking just makes it seem like they're trying too hard. The same thing happens with this Christmas display. Part of me wants to say, "Go get your own holiday", but as we can see, the FFRF has already bought into the erroneous notion that a pagan festival was the basis for a Christian holiday. One can only hope that these "free-thinkers" can actually think for themselves at one point and do some political and historical research at some point. For all the talk of being rational, this whole display of in-your-face intolerance is anything but.